"Sonaqua" asks the question: What does water quality sound like? With this ongoing installation and workshop series, river water samples are collected from across the globe with the assistance of volunteers and workshop participants. Each water sample contains different minerals and will conduct an electrical current (EC) at different rates. Measurements of EC correlate to total dissolved solids (TDS), which is often an indicator of heavy metals pollution by industrial and mining process. So, the more ecologically impacted a river system, the more electrical charge it will likely conduct. 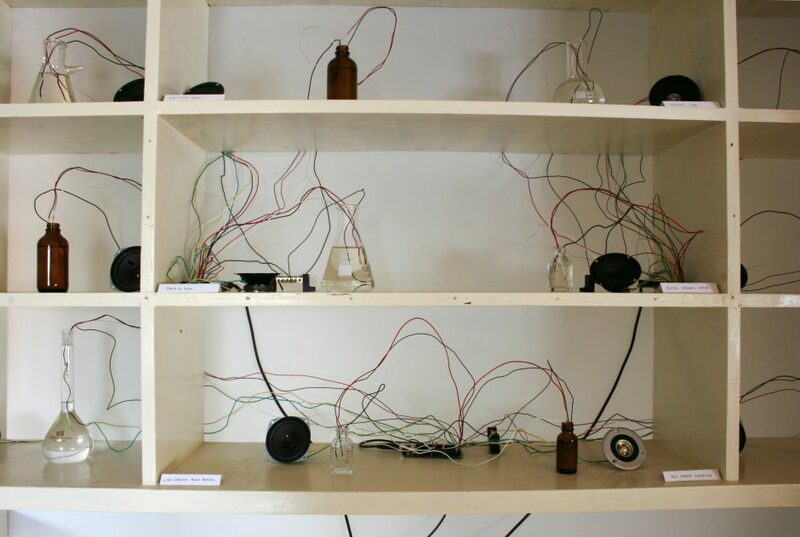 An Arduino creates sonification orchestral arrangements of water samples. As an autonomous installation, it acts as an electronic organism, emitting patterns of noise and reflects the interconnectedness of our ecological system. As an installation, it can also include direct interactivity through buttons and sensors to engage in a dialogue of scientific-based curiosity. The installation can morph into different forms, depending on context.